Last Wednesday I was invited along with other fansite webmasters into New York City to preview GTA Online. I'm sure none of you care about the weather that day or food I ate so we'll get right to game. Unlike other previews that were set up to show certain things we started from scratch and were let loose to explore. With that, it's a lot easier to have a Question & Answer session rather than type up long paragraphs about how I spent hours messing around. Here are some answers to questions forum members asked and some that have also been asked on Twitter or Facebook. I can't answer everything simply because there is so much we didn't get to see in 8 hours worth of gameplay. Is there a backstory to your character in GTA Online? - Kind of. As soon as you arrive a friend picks you up at the airport and introduces you to the area and its business people. Your character's past is meaningless. Is there a story to GTA Online? - Yes but you are not required to follow it. It's a good idea, though. You'll be given missions over the phone by various people and open up more opportunities. Most missions have cutscenes just like singleplayer. What are missions like in GTA Online? - The GTA formula continues in GTA Online. There are a variety of missions either in the story or scattered around the map. "Recover this" or "silence this guy" are what you can expect. What's great about GTA Online is that you can invite other players to join you. Many of the non-story missions are co-op but some are team-based. 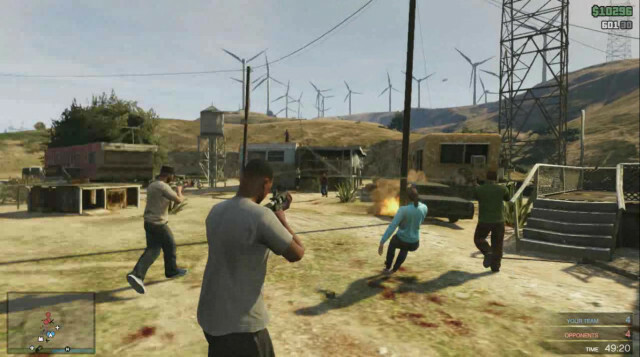 Are there any changes to the gameplay mechanics such as shooting or driving? - Nope. It's just like GTA V.
How hard is it to level up? - Not really difficult. You'll get to 3 in no time at all. The only thing stopping you from advancing is free roaming. You can waste hours and hours just messing around in the world. Do you need to level up to unlock weapons, vehicles, and property? - Yes you need to level up to unlock things. Property is more about money, though, and you'll be saving up quite a bit to purchase them after unlocking the ability to buy. - After losing your insured vehicle you can call up the insurance company and they'll park a brand new one somewhere for you to pick it up. Are your purchases (property, cars) continuous across different matches? - Yes. They are yours to keep. What is character creation like? - You can choose grandparents then alter each parent towards one grandparent or the other. Your character is altered in a similar manner with the parents and the addition of "lifestyle" and starting skill sets. It's not The Sims version of creation but it's kind of cool to see how the computer works out the genetics for completely different parents. How in-depth is character customization? The same clothing, tattoo, and hair care places are open in GTA Online. More items to unlock as you level up. Is GTA Online really "its own thing"? - Short answer: Yes. It's not a completely different game with entirely new things aside from the whole multiplayer aspect. It's still Grand Theft Auto but the amount of content (which will be added to or changed continuously) makes it worth $60 by itself. 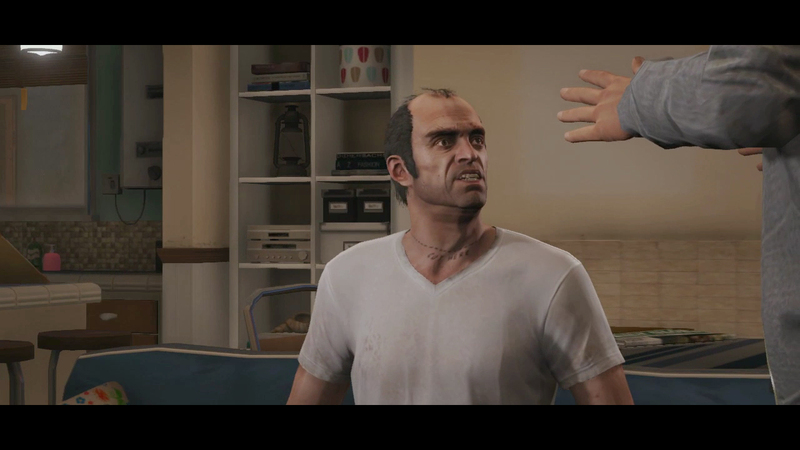 With free access if you bought GTAV, consider that as two games for the price of one. If you have more questions feel free to ask but again I may not be able to answer everything. One point Rockstar Games wants to make clear is that they value fan input for GTA Online. They want to know what you like and what you don't so they can change things over time. Be sure to join the discussions in the forums! There is. Go through the pause menu. It shall be surely wonderful if a gamer could biult a house with his/her own style. I'm looking foeward to it in GTA6. Many thanks to Rstart for GTA5 for so many innovations in the game. I REALLY HOPE private match free Roam or i will be super sad. can you rob the same place (bank) multiple times and earn money for everytime you do it or is it like singleplayer that you can replay heists but dont earn money with it? GTA Online Fansite Preview Q&A - iGTA visited NYC to get a glimpse of GTA Online. Forum members asked questions so here's some answers.